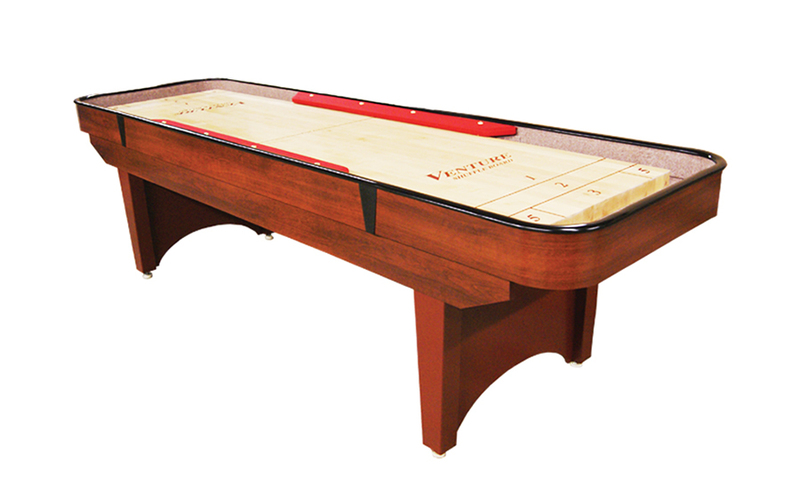 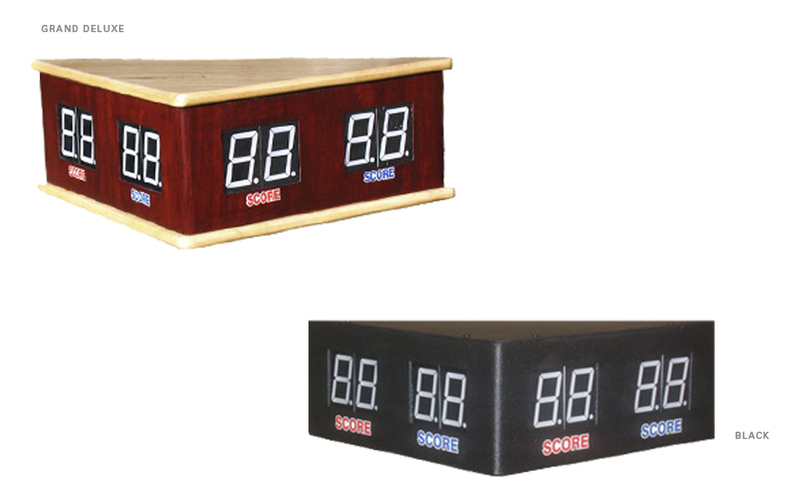 Vintage design and durable construction make the 9' Classic Bankshot a long-time favorite and staple in entertainment rooms across America. 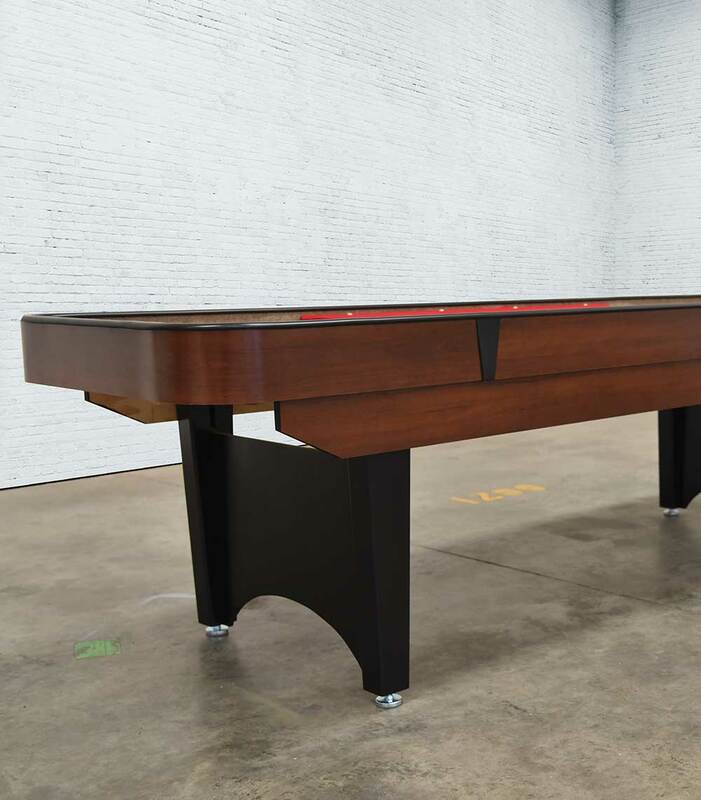 Made in the US with a cabinet constructed of plywood with a high density laminate covering, the Classic Bankshot has a superior build and maximum stability. 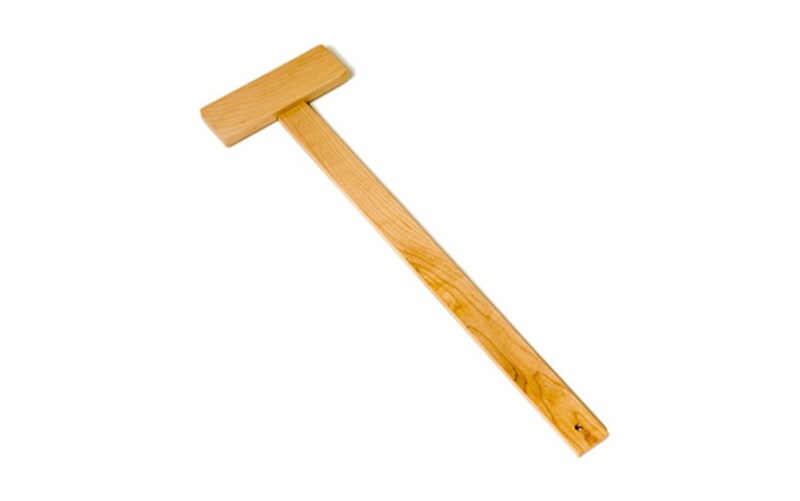 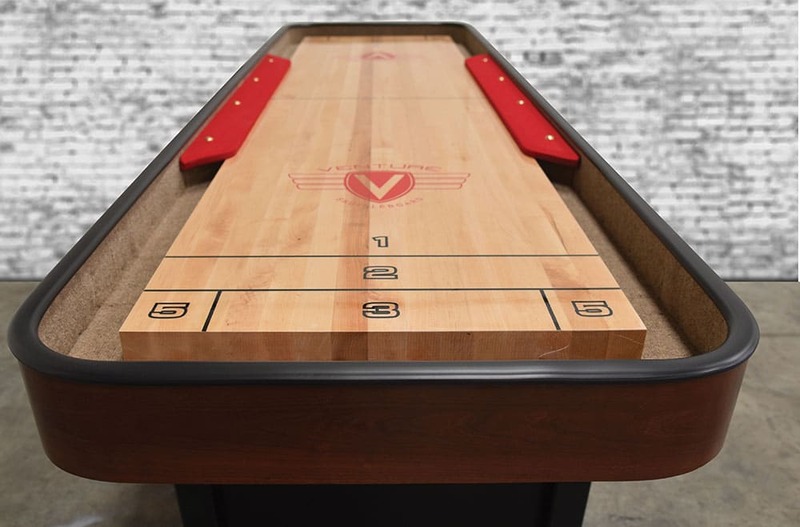 The 1 3/4"" thick playing surface is made of kiln-dried hard rock maple and and has been coated with Venture's exclusive hard clear synthetic lacquer. 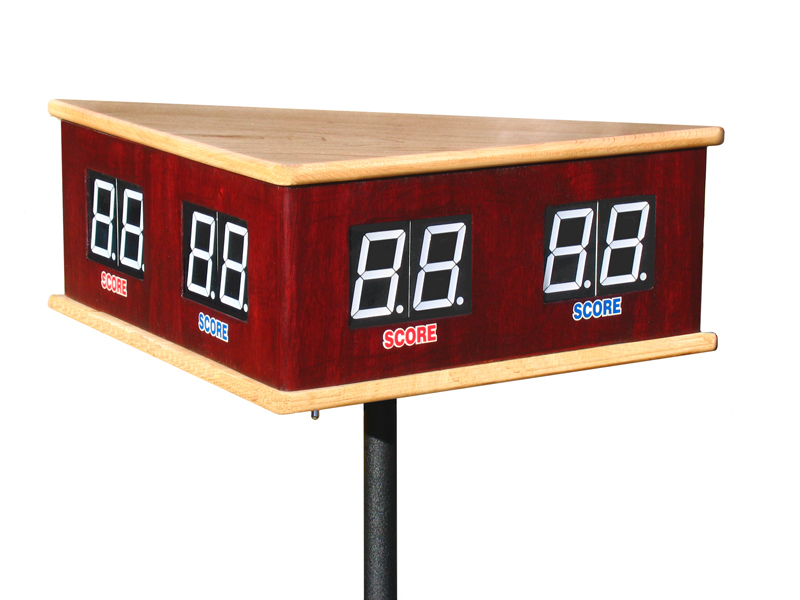 The Classic Bankshot comes with weights (pucks), Triple Crown Yellow Ice wax and Maintenance Kit, as well as rules and 'how to play' information to ensure you are ready to get the game started. 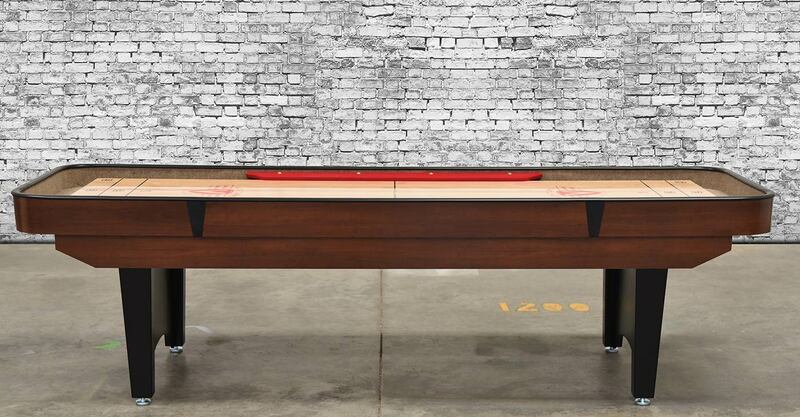 Choose from a standard stain, Dark Walnut, Stelter Mahogany, or Chestnut, or hand pick a custom stain. 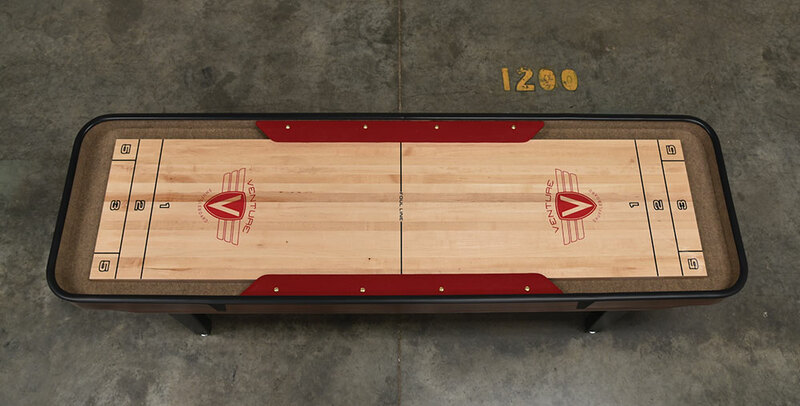 Venture's stain options give the ability to make sure your table compliments your game space and reflects your personality. 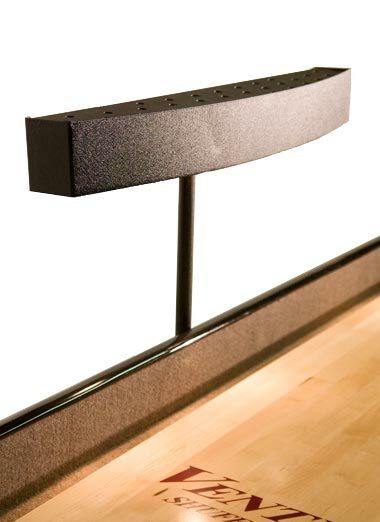 Save money and space without having to give up classic American styling; order the 9' Classic Bankshot today!